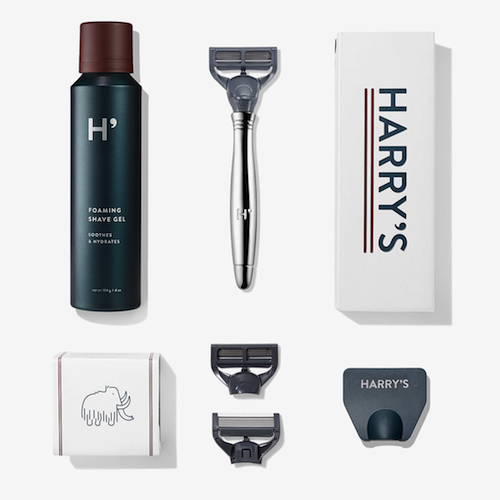 Harry’s Winston Foaming Gel Set ($30) – Available on men’s lifestyle e-tailer Onward Reserve, this Harry’s set features its aluminum handle with three prevision-angled blades with a hydrating foaming gel. 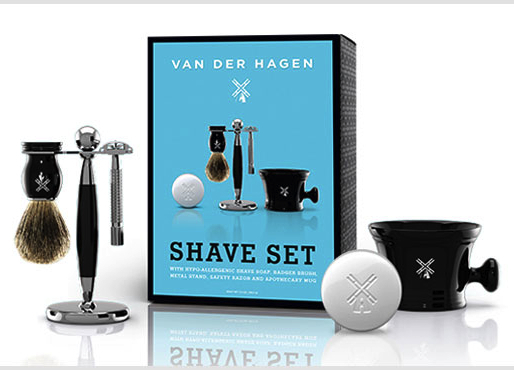 Van der Hagen Big Blue Shave Set ($110) – Featuring a hypo-allergenic moisturizing soap and monogrammed apothecary mug, the Van der Hagen set comes with a badger hair deluxe shaving brush, a heavy duty chrome-plated razor and brush stand, and five double-edge teflon coated blades. 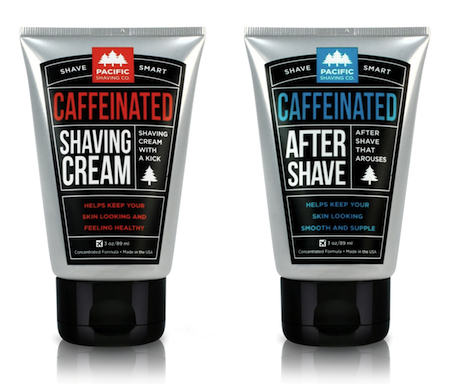 Pacific Shaving Co. Caffeinated Shaving Cream & Aftershave ($18) – a shaving cream and aftershave moisturizer duo that features natural caffeine properties that provide an extra kick with each shave while providing antioxidants for healthier skin. The Art of Shaving Sandalwood Travel Kit ($95) – luxe travel shaving set that comes with a pre-shave oil, shaving cream and after-shave balm in the sandalwood aroma with a badger shaving brush and a sturdy dopp kit. 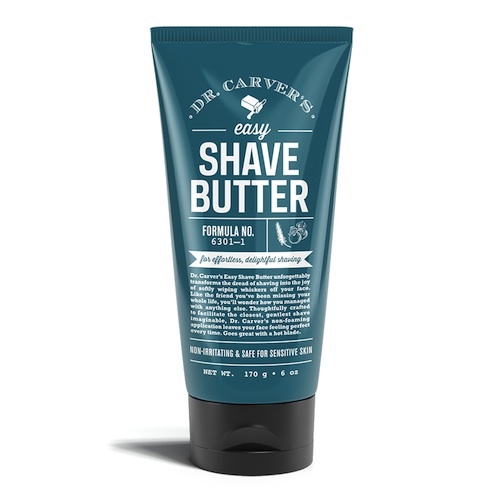 Dr. Carver’s Shave Butter ($8) – From the Dollar Shave Club, their formula of a shave cream is worth a try with its light and cooling feel and scent of juniper, pear and cinnamon notes. 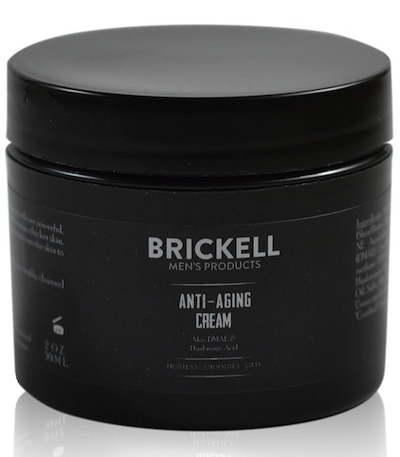 Brickell Men’s Revitalizing Anti-Aging Cream ($40) – Offering a variety of men’s shaving, body and skin care products that are available with scents or unscented, Brickell Men’s all natural anti-aging cream features Vitamin A to reduce and reverse fine lines, DMAE to tighten the skin, and Hyaluronic Acid to hydrate cells for fuller skin. 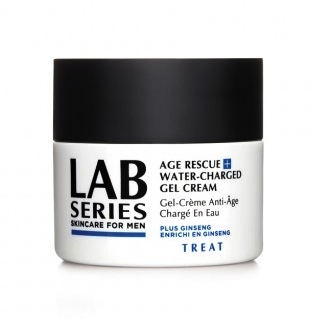 Lab Series Age Rescue+ Water Charged Gel Cream ($50) – If you prefer a gel based anti-aging solution, Lab Series offers this lightweight gel formula that will not only reduce wrinkles after weeks of use but offers a 24-hour moisture and a burst of energy for the user with its ginseng properties. 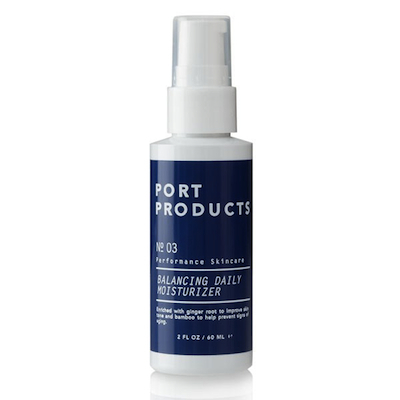 Port Products Balancing Daily Moisturizer ($30) – Created by men’s grooming go-to e-commerce The Motley, Port Products is a small line of three essential men’s grooming items for a balanced and healthy face. Among the three is multi-use moisturizer that has anti-aging properties, fights off blemishes, and helps soothes skin irritation. 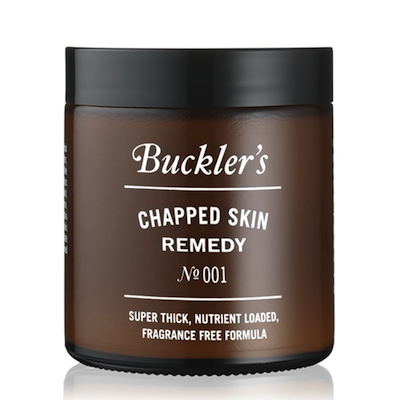 Buckler’s Chapped Skin Remedy ($22) – Also available on The Motley, fight and repair dry skin this winter with this non-oily and fragrance free moisturizing cream uses shea butter and aloe juice to replenish moisture. 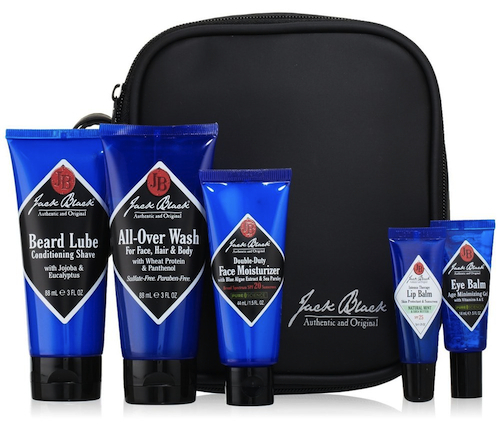 Jack Black First Class Five Travel Set ($50) – Available on men’s lifestyle e-tailer Onward Reserve, the Jack Black set includes an all-over hair, face and body wash, a 3-in-1 shaving formula, a face moisturizer, an anti-aging eye balm and a therapy lip balm. 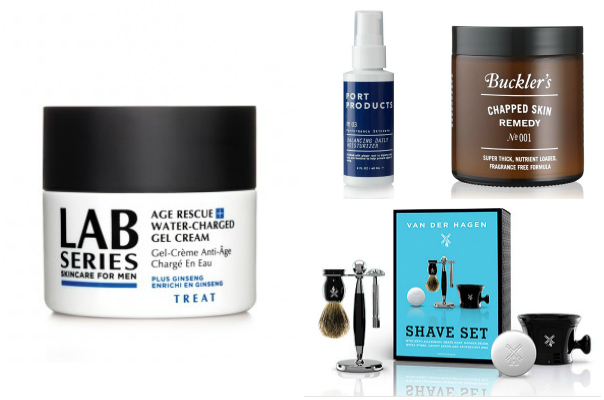 Posted on December 23, 2014, in Gift Guides, Grooming and tagged Bucklers, Gifts, Grooming, Harrys, Jack Black, Lab Series, Shaving, skincare, The Art Of Shaving, The Motley. Bookmark the permalink. 2 Comments. It helps condition my beard and the skin underneath without all those heavy scents.